Battery life is definitely worth mentioning as with the Asus K53E-B1, we were able to get just above 6 hours of battery life, which is quite good, especially compared to similar notebooks. However since this really isn't a portable notebook, battery life might be less of a worry. I wouldn't recommend the Asus K53E-B1 to frequent fliers, gamers, or anyone requiring lots of raw computing power. But if money is tight and you need a workhorse for everyday computing, watching DVDs, or listening to music, this might be a good candidate. The release of new Intel Sandy Bridge processors is making it possible for budget-conscious consumers to get a little extra processing power for their money. The surprisingly affordable Asus K53E-B1 outdoes much of its competition with a suave design, fantastic battery life, and a powerful second-gen Core i5 processor. The ASUS K53E 15.6-inch entertainment laptop is sleek thanks to the timeless design by ASUS and powerful due to the Intel Sandy Bridge 2nd generation Core i5-2520M dual-core processor! But while the hardware in the K53E may be excellent, it can’t save this laptop, at least not in this configuration. The bargain-priced K53E-A1, with a Sandy Bridge Core i3 processor and a price tag of around $625, is worth consideration among users who want an inexpensive powerhouse. Our review model is akin to the K53E-B1, however, which has a much higher price of $750. The hardware is fast enough to justify spending the extra dough, but the so-so chassis doesn't fit the higher price. The K53E manages to combine good performance and battery life into a well-made 15.6-inch chassis. Our main complaints center around the low screen resolution, loud touchpad buttons, and lack of ports (no USB 3.0 or eSATA). Otherwise there is a lot to like here: very good performance, a decent keyboard and speakers, cool and quiet operation, a solid chassis, five hours of battery life, and a two-year warranty standard. 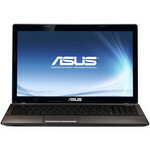 Overall, the ASUS K53E is a reasonable 15.6-inch multimedia notebook and gets our recommendation. 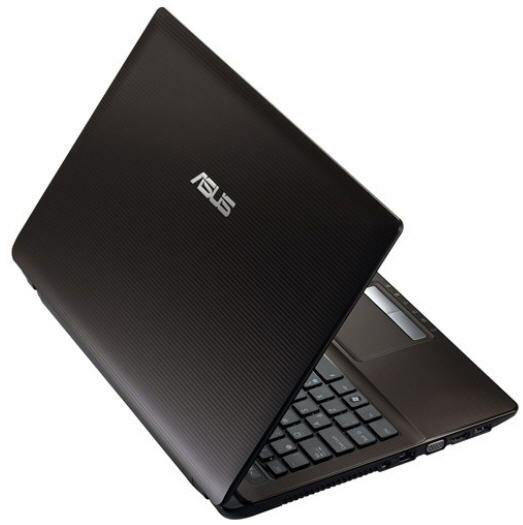 PC maker Asus has spent the last several years riding the popular Netbook wave, almost single-handedly creating the sub-$400 10-inch laptop category. But now that Netbooks have faded from the top products lists (largely for failing to innovate), Asus has to fall back on everyday mainstream laptops instead. For Intel's next-gen CPUs in an attractive, affordable, midsize package, the Asus K53E is easier on the wallet than systems from Dell or Apple. 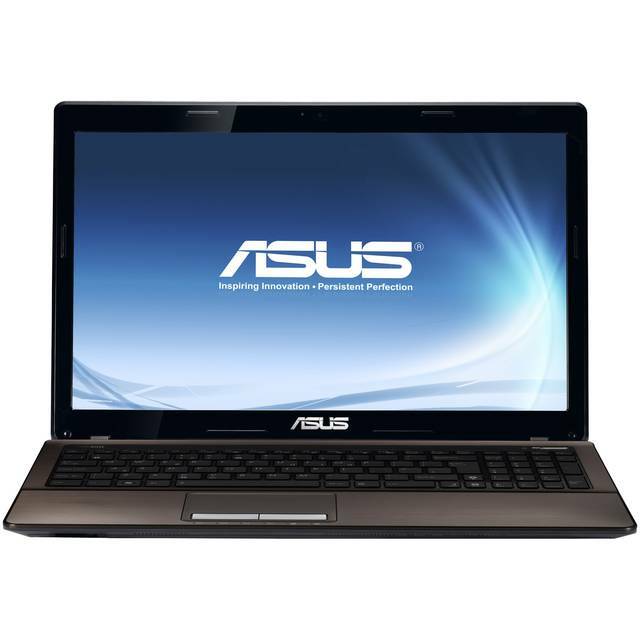 The Asus K53E-B1 desktop replacement laptop features one of the first dual-core Sandy Bridge processors and amassed over 6 hours of battery life. For $749, the ASUS K53E-B1 gives buyers a stylish design and top-notch overall performance. We just wish the keyboard felt a little more solid and that the Wi-Fi performance was stronger from longer distances. For $50 more, you can get a Blu-ray player and better audio in the Toshiba A665, or spend the same extra 50 bucks to get a better sounding Dell XPS 15 with Nvidia graphics (albeit with less RAM and hard drive space). However, we really like the K53E because it lasts an hour longer on a charge than either of those systems and looks better doing it. 74.71%: Esta evaluación es mala. La mayoría de las portátiles son mejor evaluadas. Esta no es una recomendación para compra.